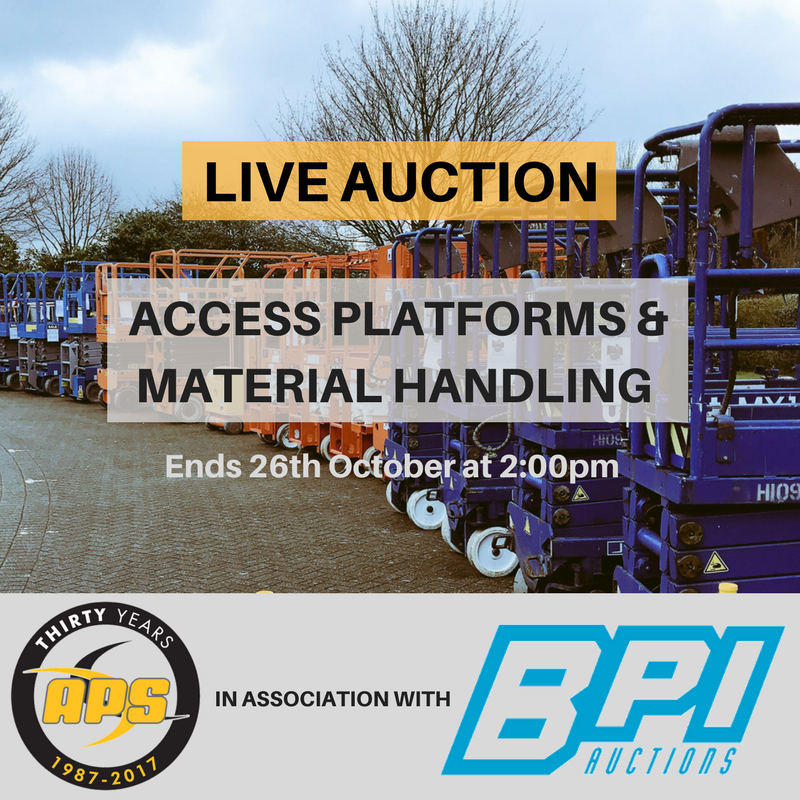 Access Platform Sales (APS) is selling a range of pre-owned access platforms via online auction – and you have less than 24 hours left to grab a bargain. 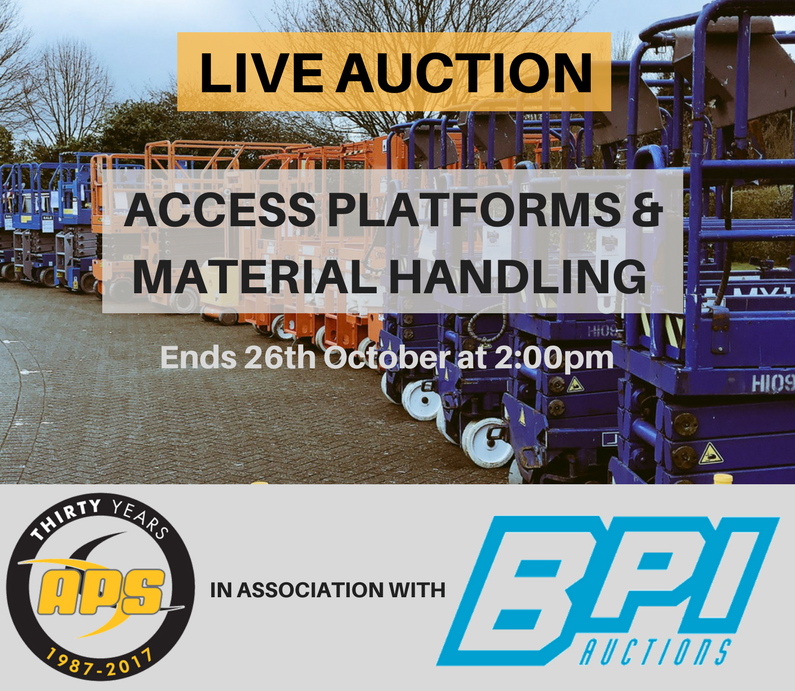 The inventory features 24 access platforms of various types and ages, taken from ex-demo stock and trade-ins. It includes push-around lifts, low-level access, mast booms for narrow aisle work, electric slab scissors, self-propelled booms and trailer-mounts. There are also some pre-owned Hinowa tracked mini-dumpers available. Brands include Genie, Niftylift, JLG, Aichi, Snorkel, and UpRight.